Jerusalem may have fallen to the Saracens but in the Baltic Bishop Albert of Riga has created the crusader state of Livonia to bring the word of God to the indigenous pagans. The battle to convert the natives is savage and unrelenting and into this holy war is thrust Conrad Wolff, a young native of the city of Lübeck whose family has suffered a terrible injustice. 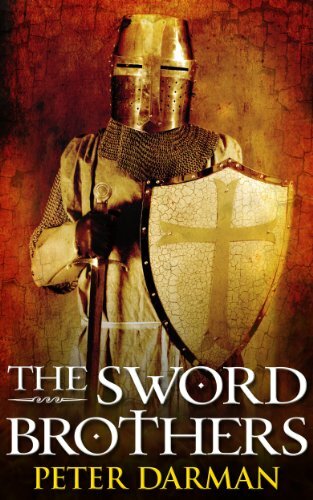 Forced to leave his homeland to seek sanctuary in Livonia, Conrad’s fate is soon entwined with that of the Sword Brothers, the order of warrior monks that fights to defend and expand Christendom in the Baltic. But as Conrad begins his training to become a member of the brethren, the enemies of the Bishop of Riga gather and soon Livonia is surrounded and battling for its very existence. Conrad and the order soon find themselves fighting for their lives as the enemies of the Sword Brothers close in on all sides. This, the first volume in the Crusader Chronicles, tells the story of Conrad Wolff and the Baltic Crusade during the first years of the thirteenth century.